Get your perfect smile with Clearbraces.ie What is the first thing you notice about someone? Seventy three per cent of people say a person’s smile. There is growing demand for a perfect Hollywood smile and people are looking for ideal and easy way to achieve this. Invisalign is the perfect solution for those who want to straighten their teeth as they are virtually invisible, removable, and comfortable with no brackets or wires, making them suitable for all ages and can treat 95 per cent of orthodontic issues. Invisalign has revolutionised orthodontics and there is an increasing demand of people wanting them as they are realising how easy and discreet the process is to having straight teeth. Invisalign’s 3D technology – the Clincheck© can even show you the end result before you start your treatment, which patients find very reassuring. An impression of your teeth is sent to Invisalign and from that the team create a series of see-through aligners, each one is slightly different. These are changed every two weeks and gradually move your teeth into the desired position. Another benefit is that you can change the aligners at home so visits to the dental surgery can be every two to three months, which is ideal for those with a busy lifestyle. Clearbraces.ie has treated more than 4,000 happy patients nationwide, making it the most experienced and No 1 provider of Invisalign in Ireland. Dr Lisa Creaven and Dr Vanessa Creaven are part of the Clearbraces.ie group and Dr Lisa Creaven was awarded a Diamond provider status from Invisalign as she has treated more than 700 patients and is the only dentist in the west of Ireland to have achieved this. Clearbraces.ie is the only clinic in Ireland with a fixed price list as the company believes in transparency when it comes to cost. 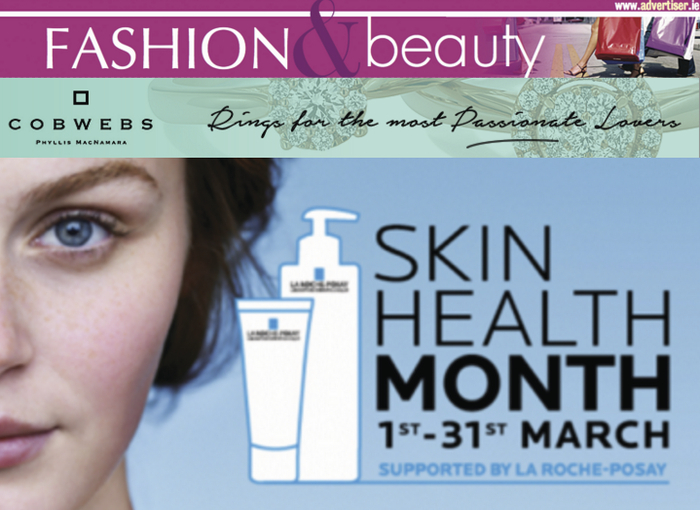 Matt O'Flaherty Chemists has partnered with sensitive skincare expert, La Roche-Posay, to celebrate Skin Health Month, taking place until the end of March. This is an exciting initiative which aims to educate the public about the importance of good skin health. As part of the campaign, Matt O'Flaherty Chemists is inviting the local community to call in-store for a free, personalised, skin consultation from a specially trained dermo-adviser. Fragile, dry, acne-prone, and allergic skin conditions will be identified and recommendations made by Matt O’Flaherty Chemists' skin health dermo-adviser, for a skincare regime tailored to soothe, treat, and manage all types of skin conditions. La Roche-Posay’s Skin Health Month campaign aims to acknowledge the distress that the symptoms of sensitive and reactive skin can cause, and also highlight the local expertise in pharmacies across the country and their commitment in finding the right solution for their customers. Pharmacies nationwide are taking part in the campaign by offering free skin consultation in store.